Electronic Voting Machine (EVM) has been a point of contention among political parties for years now. Opposition parties have moved Election Commission of India several times alleging that EVMs were being hacked and tampered with, but to no avail. There have been demands of going back to the days of ballot paper voting. However, the Election Commission has made it clear that EVMs are here to stay and there will be no going back to ballot paper voting. EVM Tampering Row: Electronic Voting Machines Don’t Respond to Any Radio Frequency, Says Election Commission. But what exactly is an EVM? When was the EVM first used in India? can it be hacked? These are questions that are often asked not just by political parties but also voters. Continuing our series on Lok Sabha Elections 2019, here are answers to FAQs on EVMs. EVM Tampering Row: Not Going Back to Era of Ballot Papers, Says Chief Election Commissioner Sunil Arora. The full form of EVM is Electronic Voting Machine. It is an electronic device for casting and recording votes. It consists of a Control Unit and a Balloting Unit, which are connected with each other by a five-meter cable. While the Control Unit is placed with the Polling Officer, the Balloting Unit is meant for the voters to cast their vote. The EVM does not run on electricity. It uses battery assembled by Bharat Electronics Limited/Electronics Corporation of India Limited. After the polling officer releases a ballot by pressing the Ballot Button on the Control Unit, the voter then presses the button next to the symbol of the party of the candidate of their choice. When did EVM come to India? The EVMs were first used in Parur Assembly Constituency of Kerala in the year 1982 during midterm Assembly polls. Who has designed EVMs in India? 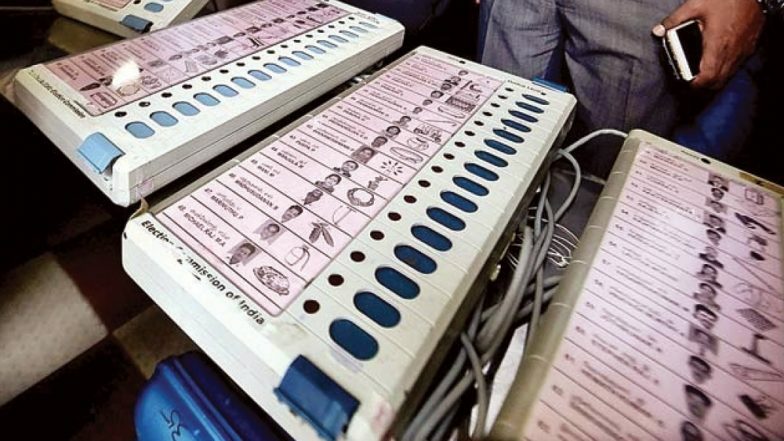 The EVMs in India have been designed by the Technical Experts Committee (TEC) of the Election Commission along with Bharat Electronics Ltd., Bangalore and Electronic Corporation of India Ltd., Hyderabad. The EVMs are manufactured by the above two undertakings. How does EC plan to ensure fair polls with EVM? The EC has announced that VVPAT machines will be used at all polling booths with EVMs in Lok Sabha Elections 2019. VVPATs help voters verify that their vote has gone to the candidate they voted for and no one else. Here are FAQs about VVPATs answered. How many EVMs have been made available for 2019 Polls? The ECI has made available 16.35 lakh Control Units and 23.3 lakh Balloting Units of EVMs this election. Lok Sabha Elections 2019 will take place in the months of April and May across India. Voting for General Elections will take place in seven phases between April 11 and May 19. The counting of votes will take place on May 23.